See in person your favorite Star Cars and Props! 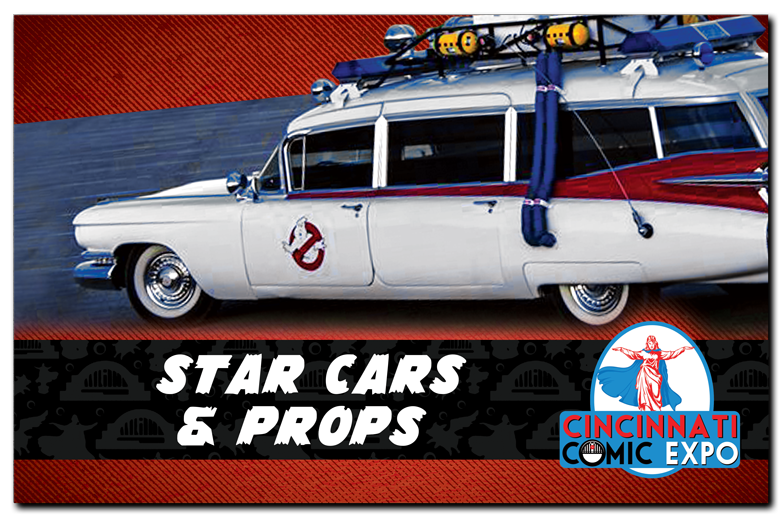 At Cincinnati Comic Expo attendees will have the opportunity to see up close cars, displays and props from some of fandom’s favorite genres such as Batman, Lord of the Rings, Dr. Who and Star Wars. So get your cameras ready and be prepared for some incredible sights. You will not be disappointed. All have been booked to attend in advance, however cancellations do happen. If it can happen to Firefly, it can happen to us. Refunds cannot be offered in the event of a cancellation.